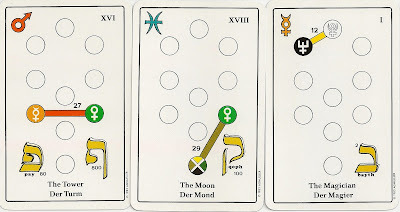 This deck was designed as a study aid for learning the kabalistic and astrological associations in Tarot. The images on the deck are wholly symbolic. The titles are in English and German. The Major Arcabna feature the Tree of Life with a path between two Sephirot highlighted. Within each of the two Sephirot a planetary symbol is inscribed. In the upper left corner is a zodiacal or planetary symbol, on the lower right is a Hebrew letter. The Minor Arcana show a zodiac wheel with three houses highlighted. A small glyph of the Tree of Life is in the center of the Zodiac wheel. Each suit is matched with an element and colored in the appropriate color for the element: red for fire, blue for water, yellow for air and green for earth. The planet assigned to the card is shown on the outside of the zodiac wheel in position next to the appropriate sign. The symbol for the suit's element is in the upper right corner of the card; the card's number is in the upper left corner. The court cards are Knight, Queen, Prince and Princess. They show the four letters of the Tetragrammaton in the center of the zodiac wheel, vice the Tree of Life. The appropriate letters for the court card are colored in. The kabbalistic attributions follow the Golden Dawn interpretations, with some exceptions . 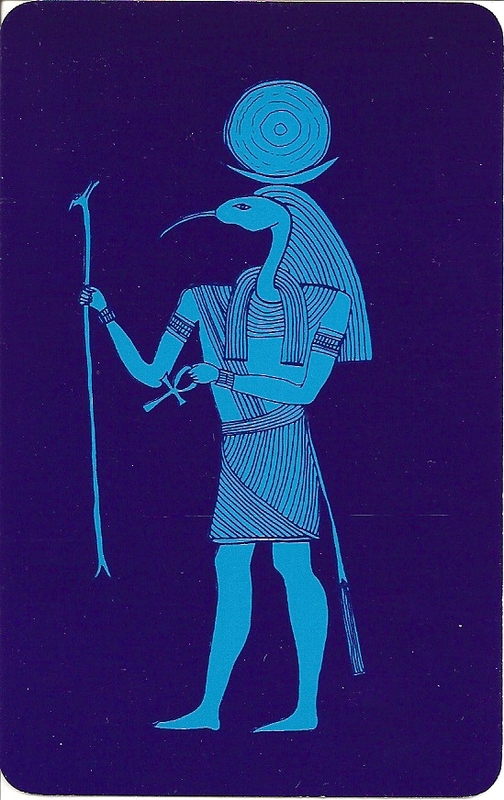 The back design shows the Egyptian god Thot. 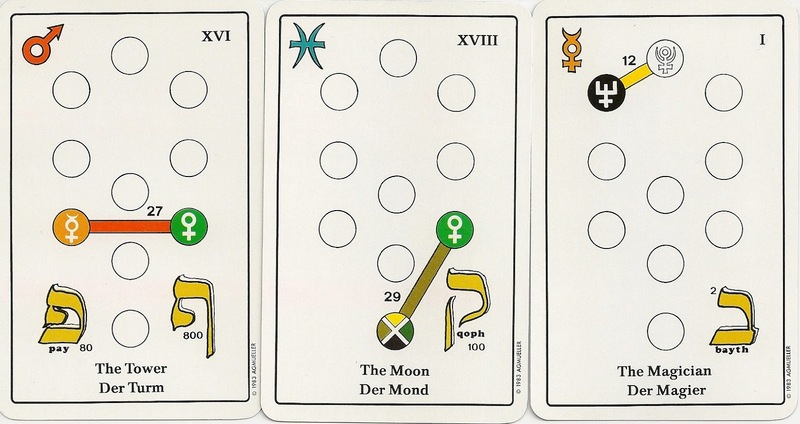 The deck came with a book titled "Spiegel des Lebens - Tarot und Kabbala" by Rufus Camphausen. 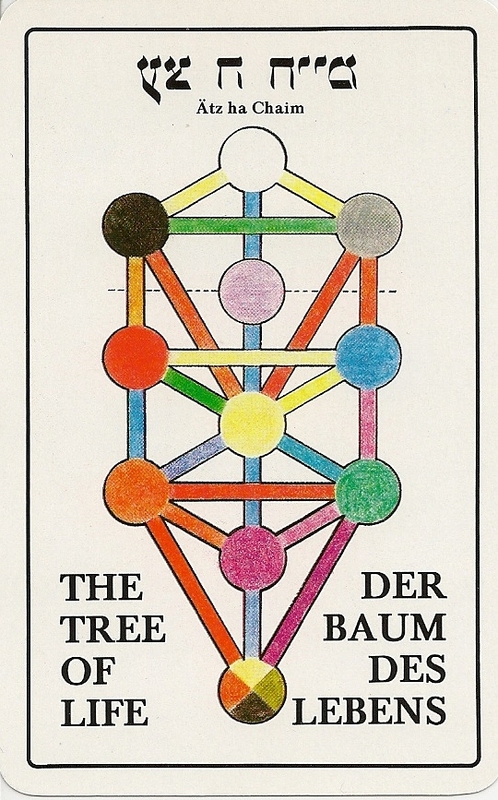 The Tree of Life Tarot was first published in a limited edition of 222 decks. In 1983 it was published by AGM as an unlimited massmarket edition.